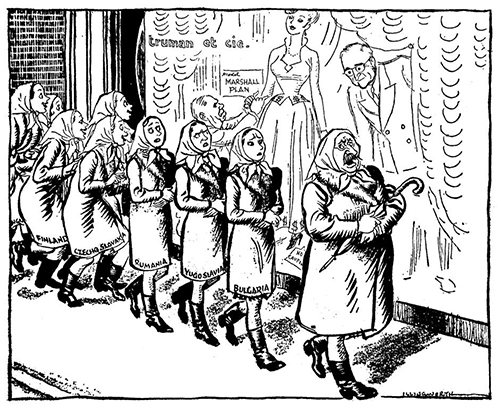 Leslie Illingworth was one of Britain’s great political cartoonists. 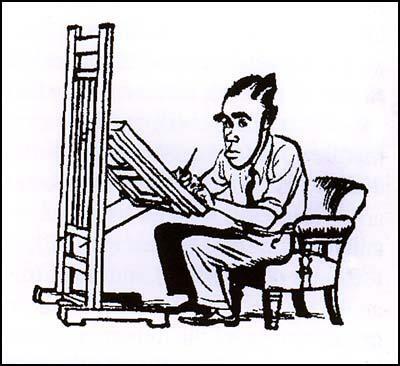 Welsh born in 1902 he produced some of the sharpest cartoons of the last century in a remarkable career drawing for both the Daily Mail and the British satirical magazine, Punch. In the early 1920s having finished his training at the Royal College of Art, Illingworth became a freelance artist and travelled to the United States before returning a year later to finish his studies in Paris and Berlin. From 1927 until 1937 he free-lanced for a number of publications before getting his first major commission with Punch and thus secured a regular contribution. Upon hearing that the chief cartoonist from the Daily Mail was retiring Illingworth decided to apply but suspected that his name would not receive favourable consideration given his association with Punch. So he sent some of his samples signed ‘MacGregor’ in what would prove to be a justified use of a pseudonym. Having secured the job he enjoyed considerable success throughout the Second World War with regular cartoons, one of which was even found in Hitler’s Chancellery in Berlin! He was known for producing cartoons of great detail and the importance of the political cartoon cannot be underestimated. He, his fellow British cartoonists and equally those from behind the Iron Curtain produced works of considerable historical importance. They give a real flavour of life and indeed censorship from that period and by the beginning of the 1960s he was earning in excess of £8,000 a year, a considerable sum in those days. 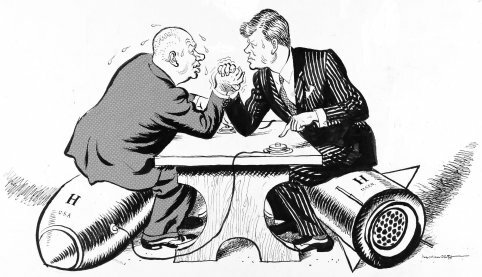 Kennedy and the Cuban Missile Crisis proved a welcome source of material for Illingworth but he could not take the bulk of the credit. Much of his work was a result of discussion and scrutiny with fellow workers at Punch, he actually had few original ideas of his own but rather a wonderful artistic ability to portray the leading political figures of the day. Illingworth was and remained fiercely critical of the Soviet Union. That may seem an obvious statement but not all Western cartoonists followed the doctrine. 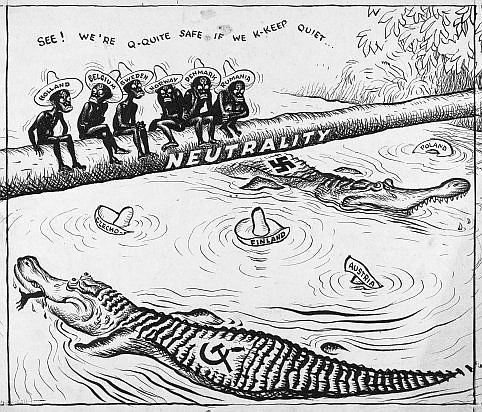 In the West, quite unlike in the East of course, journalists and cartoonists would aim satirical fire at any political event or persuasion and for a number of leading cartoonists it was often the United States and their foreign policy which came under the most fire. In his personal life he was considered an old school gentleman who couldn’t bear to look at his own work, he accepted his numerous awards with a dignified grace and eventually retired from the Daily Mail in 1969. He died ten years later. What was his relationship with Enid Ratcliff?